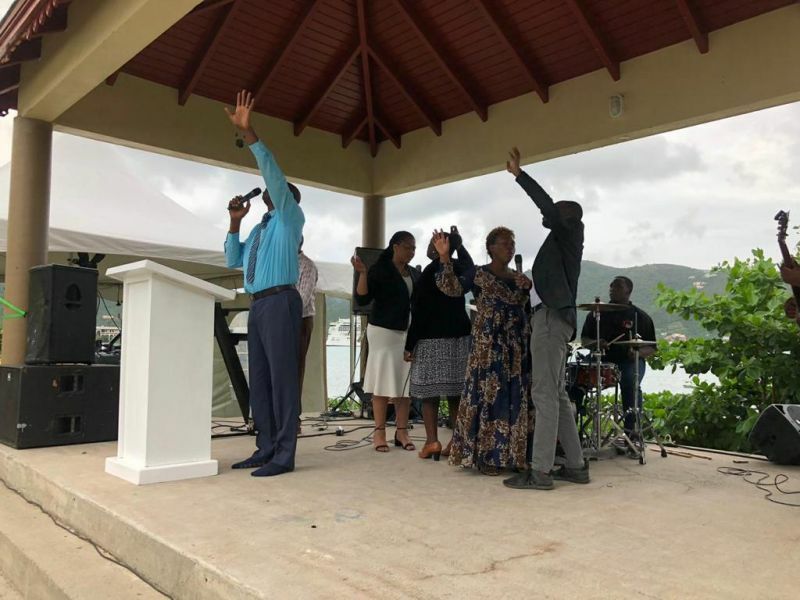 ROAD TOWN, Tortola, VI: Despite the poor weather, the young and old of the Virgin Islands (VI) turned out in numbers for an event dubbed 'A Day of Repentance Gathering' on Sunday, November 4, 2018, at the Queen Elizabeth II Park. According to the official event poster, the gathering called for citizens of the VI to publicly and corporately repent from sins and to turn from bad ways with an acknowledgement that God is the “creator, the author and finisher of our faith”. 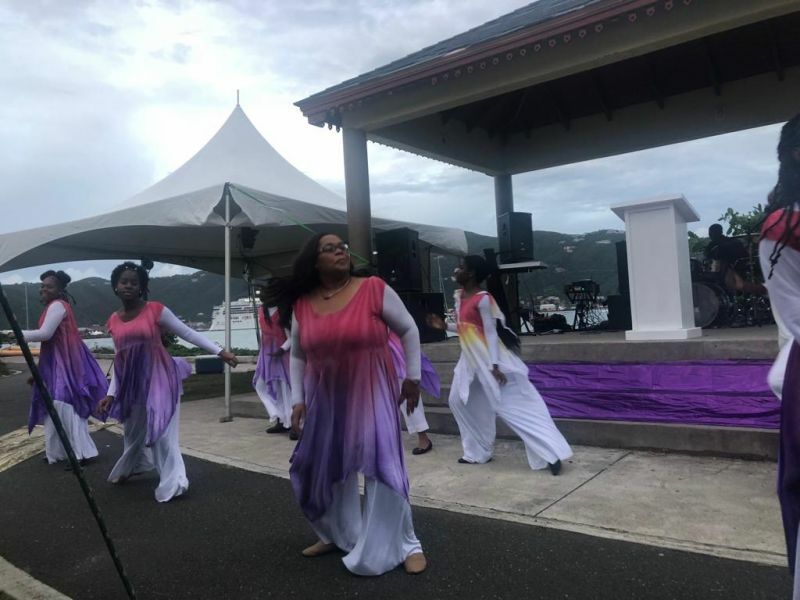 The event also featured Pastors from several churches around the VI as they raised their voices in praise with singing and dancing complimented by music from the New Level Praise Band. Organisers said the VI needs the healing of the Lord which comes with blessings, however, we must turn from wicked ways, repent and the Lord will heal the land. 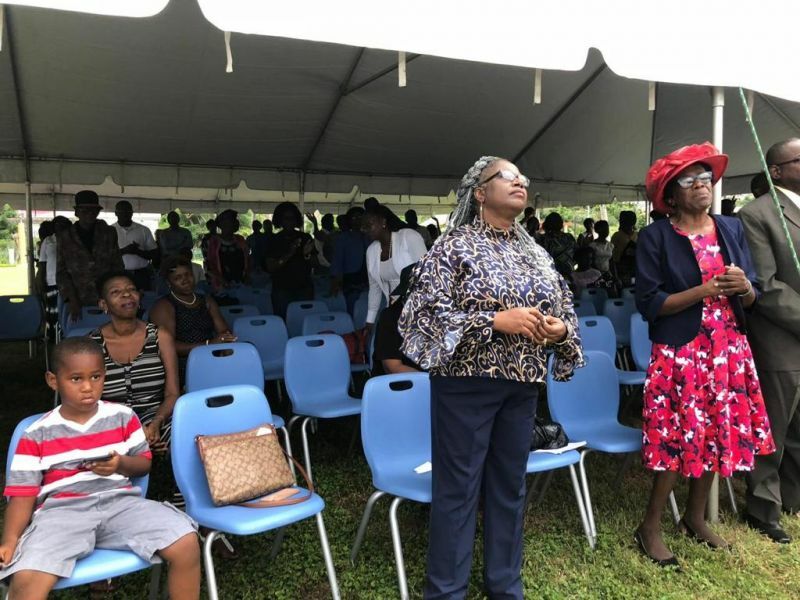 The event was spearheaded by Honourable Alvera Maduro-Caines, Sixth District Representative. but I wonder if Mrs. Caine’s thinks this is enough to save her after 8 years of doing nothing substantial for the 6th district? You’re definitely right! Repent of our sins, as you stand in HOA and co-signed a lot of the nonsense even when you knew it was totally wrong and unethical! Now we are to believe It’s the premier, it’s works and even the garbage collector fault for why you couldn’t be a good leader for the 6th district! Much respect to Hon. Mitch! A true man of God and a man of courage! We need more leaders like him! Stop using people for political mileage! You know these are the same people, when you see them you turn you’re head the other way, ignore their calls and continue to give $h@n3 and B@ya3l all the work on the sly! @Hmmmm. I was thinking the same way but did not want to say it. Theses things are surely for political mileages. I see the good Doc. Pico talking now about marijuana use as a possible cure for cancer. It is amazing what these politicians do and say around election time. On another note everything happens in this territory is always a success, seems like nothing ever fails. God is good. If wasn't for God Mercy, love and compassion we wouldn't be around.. God cannot be used for convenience. God is a God if Deeds action, courage, not the bla bla and public spectacle. Here is my problem with most of these people. They all lack the courage and the God to stand up and say to a person/s of power that what they are doing is not right in the sight of God and to defend the oppress who are wrongfully oppressed and do something Godly about it.. Isn't she and others sat and been apart of all the wrong this country suffer. What did they do in the name of God, they are still there apart of it. Did anyone walk out walk away and say I can't go along with these ungodly oppressive behaviour. "No" Show us your fate your courage, your conviction, then we. Can follow. "The event featured singing and dancing"..it all sounds good and if many turned out, I can see why it could be deemed a "success". However, if I am not mistaken, the key word here is "REPENTANCE". The entertainment and the crowd was good, and that's a success from that standpoint. But it doesn't say if there was any 'repentance' taking place. Repentance is a solemn matter, when people are convicted of wrong, and seek forgiveness, and make a pledge before God to do better. It is a humbling experience. It's the start of a process of transformation. People confess their sins. 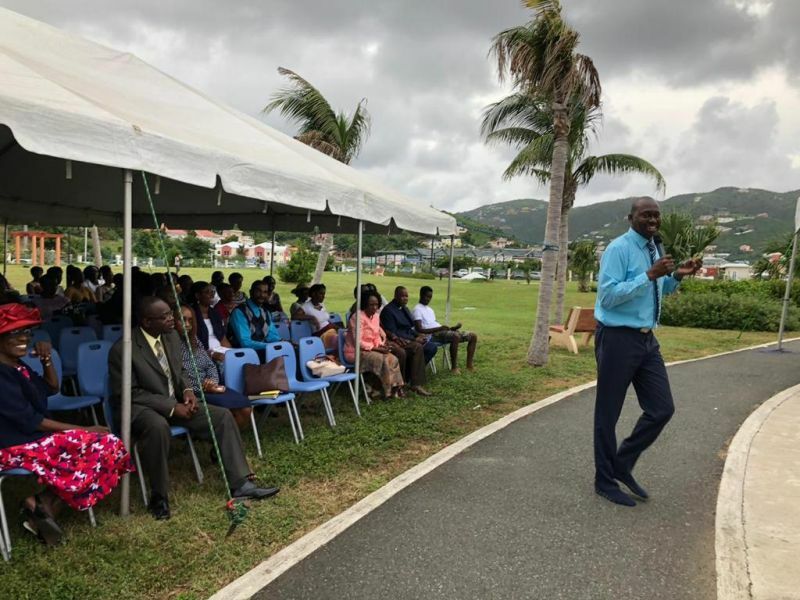 Did anyone give a testimony of Repentance at this event? The story does not reflect that. 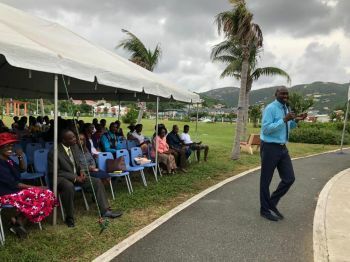 And if the Host of the event could have given at least one hour live radio broadcast for the shut-ins and others who could not attend, it would have been nice to hear first hand what was been said at this important event. Food for thought for the next one, hopefully. Maybe you should of been there? !